At 2:00pm, the Fed Beige Book was released. It was, as usual, mixed. Commercial Delinquency Rate – Chart shows a drop in 60d and 90d last month. Some of that is the preferred treatment that banks are providing in an effort to keep from foreclosure. 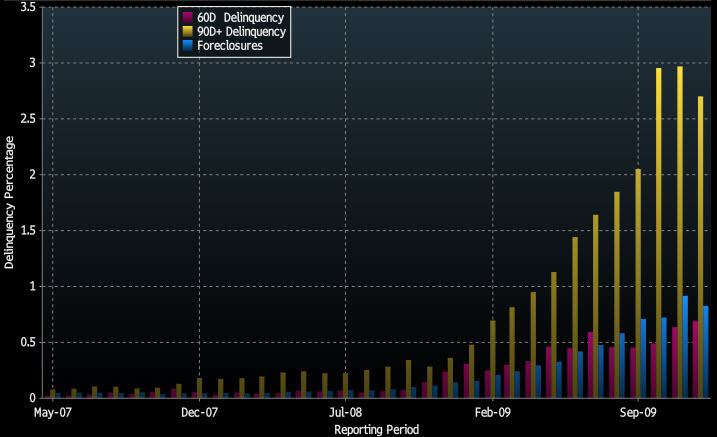 During the 2nd half of 2010, it is expected that commercial delinquencies will hit its highest level.